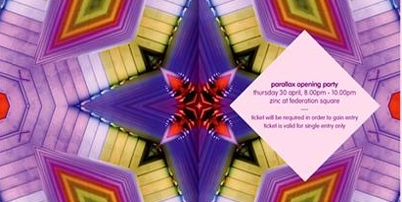 Gerard Reinmuth has been invited to preview Parallax at Pecha Kucha Vol 11. The event is on Thursday, April 2 at the Chalk Horse Gallery, Surry Hills. Other speakers will include TERROIR friends and designers of this site, and of the Parallax graphic accompanying this listing - TOKO.